Beetlejuice isn’t a particularly dark movie, even if it is about death, haunted dinner parties, and Alec Baldwin making a miniature model town (what was that all about? ), but its ending is still even cheerier than a lot of movies that don’t open with Geena Davis dying in a car accident. According to Larry Wilson, one of the movie’s writers, it almost had a much darker ending that involved Winona Ryder’s Lydia dying in a fire so she could live as a ghost with Baldwin and Davis’ characters. The ending in the film involves Lydia getting a good grade on a test and celebrating with the ghosts, but she’s still very much alive. Apparently, “a couple of people” asked Wilson and co-writer Michael McDowell if it was really a good idea to tell goth teenagers to “die in a fire,” so they wisely decided to change it. 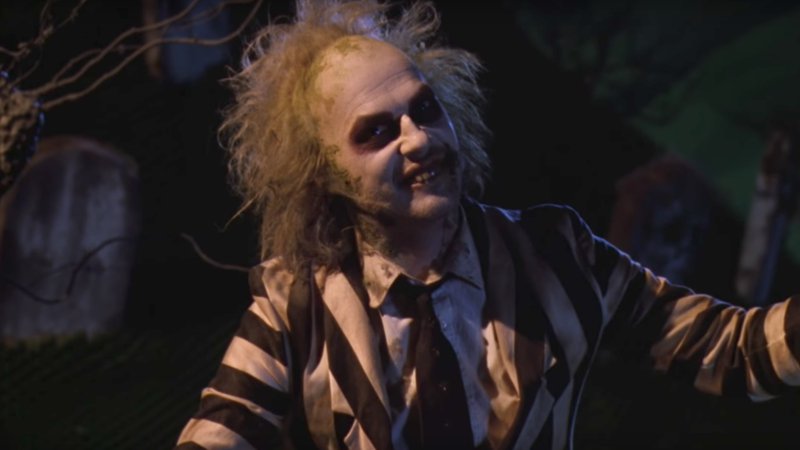 Whether or not the long-teased sequel ever gets made, let’s all be thankful that Beetlejuice didn’t end up being a bad movie with a different name.